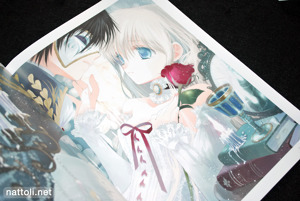 Although Bungaku Shoujo Fantasy Art Book is on the short side for a commercial art book (64 pages) it doesn't mess about and sells at the bargain retail price of ￥1050. 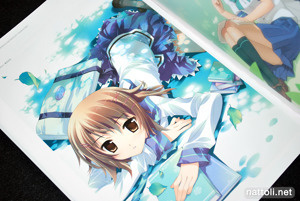 From the start, the we dive right into the art work from both the official series artist, Miho Takeoka, and quite a well-known line-up of fan artists illustrating the stories in Bungaku Shoujo as well as the series characters themselves. 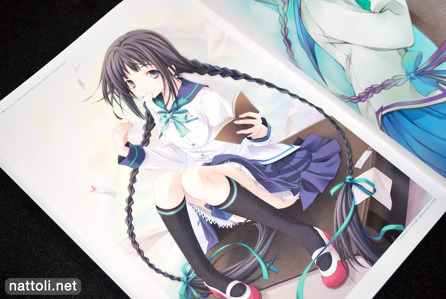 The book starts out with art works by Miho Takeoka, some of which were also featured in the series art book, Bungaku Shoujo Galerie D'Art. 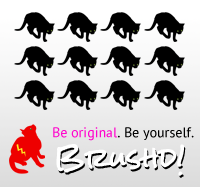 This section is about 30 pages, and is sub-divided into two sections called "Cover History" and "Character Pick-up." 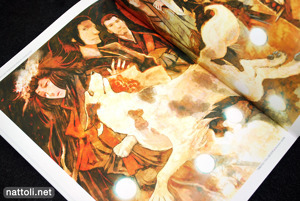 The illustrations in "Cover History" are shared two per page and feature cover art work, while many of the ones in "Character Pick-up" are two-page spreads and focus on characters other than Toko Amano. 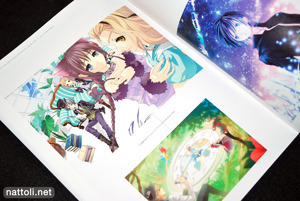 The second part of the book is where the "fan artists" come in. 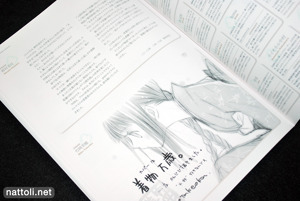 In the first subsection, artists are illustrating the stories featured within Bungaku Shoujo. 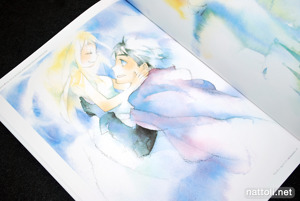 The first piece is by Miggy, an artist often featured in Gelatin Magazine, with an illustration from "Undine" followed by a stylized story rendition by Sousei no Aquarion illustrator Kaneda Eiji. 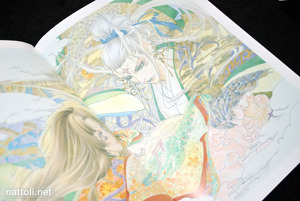 Some of the other art works in the section include a Phantom of the Opera illlustration by Hato Rami, The Red Candle and the Mermaid (赤いろうそくと人魚) illustrated by Kaya Kuramoto, and Yashagaike (夜叉ケ池) illustrated by Atsuko Nakajima. 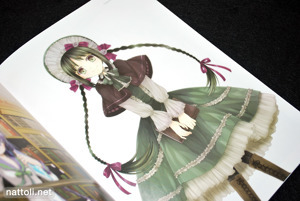 Works by .hack//CELL artist Mutsuki Akira, and Sunaho Tobe also appeared in this section. 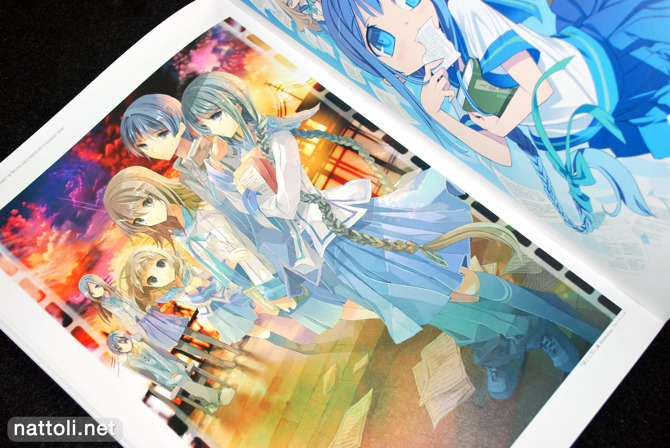 Also, all of the illustrations in this "story in story" section are two-page spreads. 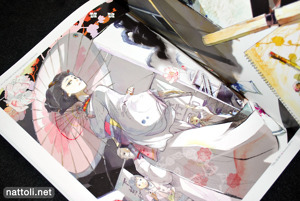 My favorite part is the last section, the fan art of the actual Bungaku Shoujo characters themselves. I love seeing different artists' renditions of character designs, and the artist selection for the section is impressive. 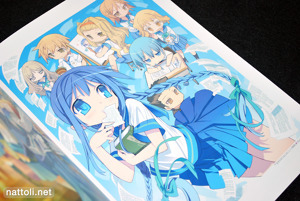 Miyama Zero, Takuya Fujima, BLADE, Kona, x6suke (original character designer for Kyouran Kazoku Nikki), Keiji Yamamoto (Hanbun no Tsuki ga Noboru Sora), Mikaki Mikako and Fruitpunch all take on an illustration in this section. 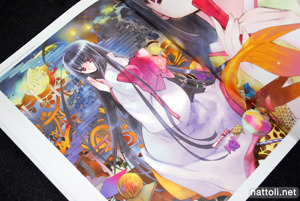 Though it wouldn't be everyone's cup of tea, Bungaku Shoujo Fantasy Art Book is great value for money with a creative collection of illustrations from some very talented artists. 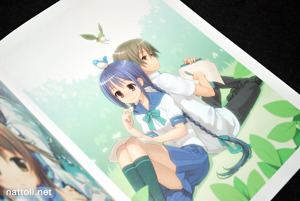 Do you know where the blue haired girl with the schoolbook clutched to her chest from? That is Toko Amano from the light novel/movie/manga Bungaku Shoujo (文学少女).